The Nano-Hone Button Tech™ NL-8 Standard Lapping Plate uses diamond abrasive in a way that is different than many other diamond lapping plates. Rather than having diamonds affixed to the surface of the plate, The NL-8 employs metal buttons that have diamonds dispersed throughout their entire structure. These buttons are virtually indestructible and any wear that does occur will expose fresh diamonds. The surface of the NL-8 can be re-calibrated many times over the life of the lapping plate. The buttons on the NL-8 have been carefully designed and arranged to make the lapping plate as efficient as possible. It is the edges of the raised diamond buttons where the cutting action takes place when flattening a water stone. The round shape of the buttons along with the recessed cross in their centers creates many edges on the NL-8, maximizing the points of contact between the abrasives and the water stone. As anyone who has flattened a water stone can attest, doing so creates a potentially messy slurry of abrasive material. This slurry can slow the flattening process down if it builds up between the lapping plate and water stone. It can also cause inconvenient suction to form between plate and stone. The buttons on the NL-8 are placed with plenty of clearance space between them, allowing the slurry to get out of the way and prevents the plate from clogging or creating excessive suction. The NL-8 is no wimpy lapping plate. It measures 240mm (9-7/16") long x 60mm (2-3/8") wide. The thick buttons are set into solid stainless steel to ensure structural integrity. The resulting mass of the plate is important to its function. As it is moved over the water stone, its own weight provides firm but stable pressure for a smooth lapping action. The NL-8 is intended to flatten a wide variety of water stones. It is recommended for resurfacing any water stones in the range of 400 grit to 30,000 grit. That's 40μm to 0.5μm for those who prefer microns. Q. The Nano-Hone Button Tech™ Lapping Plates are offered as a standard and a large. What's the difference? A. The difference is size. 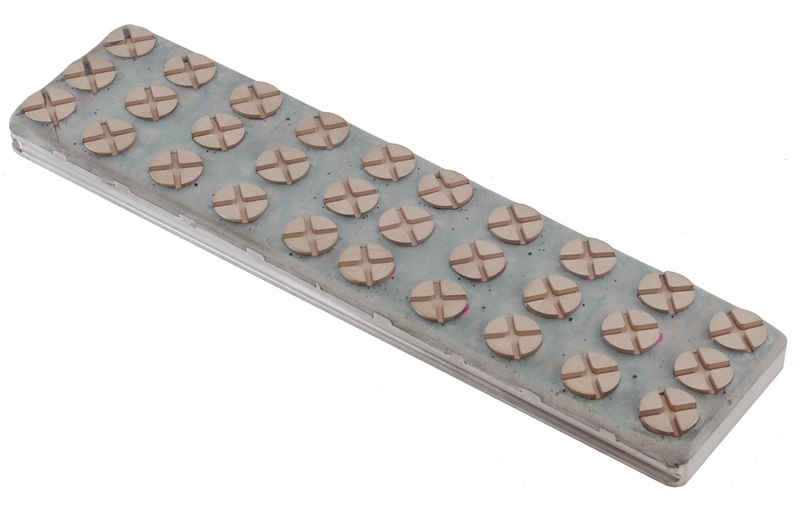 The Large NL-10 Button Tech™ Lapping Plate offers more than 20% additional surface area compared to the Standard NL-8. Q. Can the Nano-Hone Flattening Plates be used with any brand water stone? A. Yes. They will work with any brand of water stone. Of course they work very well with the Nano-Hone Water Stones. 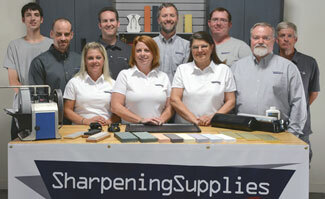 Thanks for the great customer service and for going above and beyond the call of duty -- you made me a SharpeningSupplies.com customer for life.